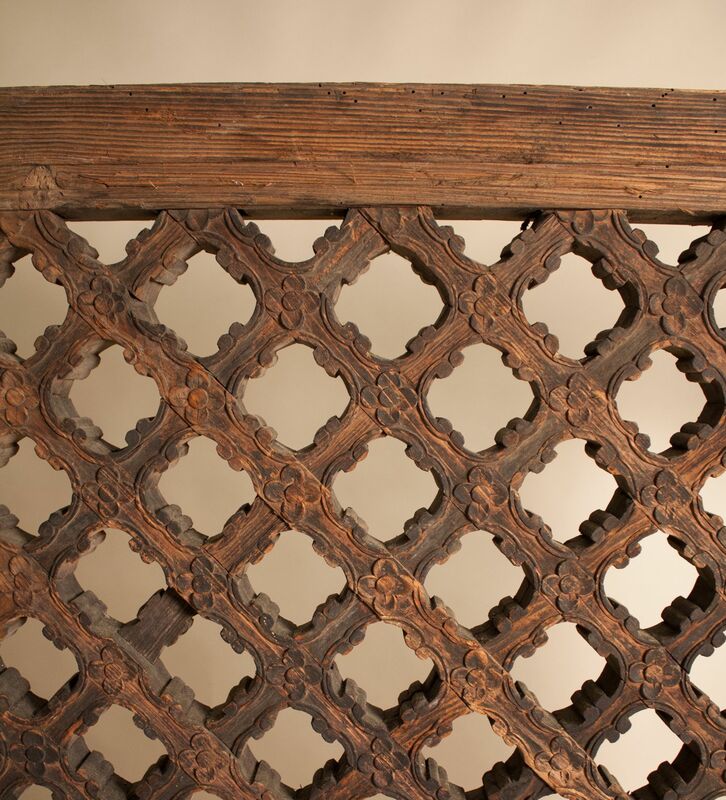 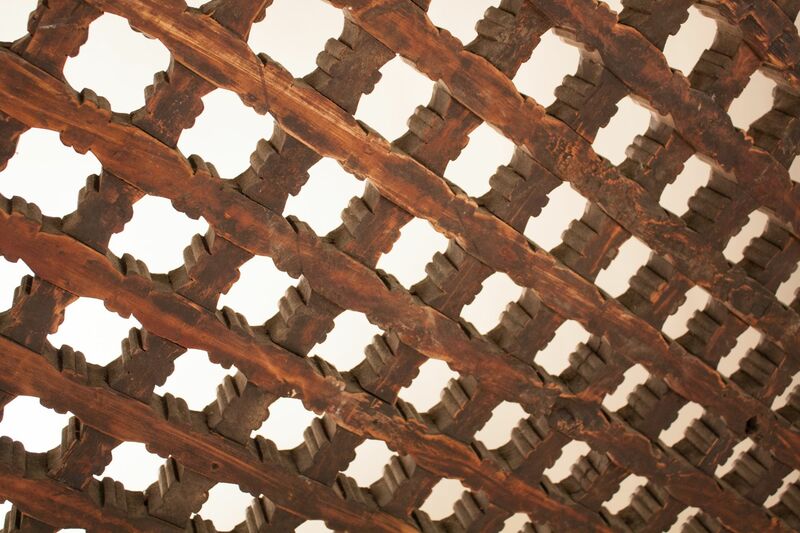 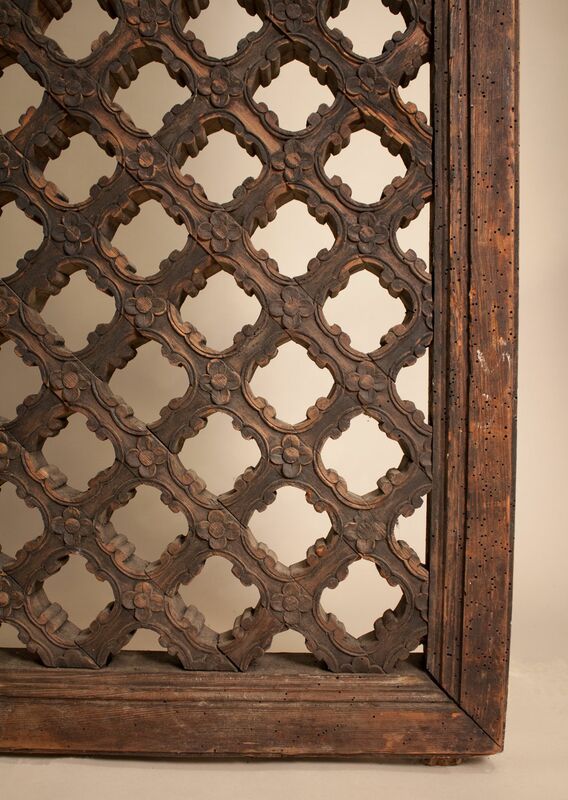 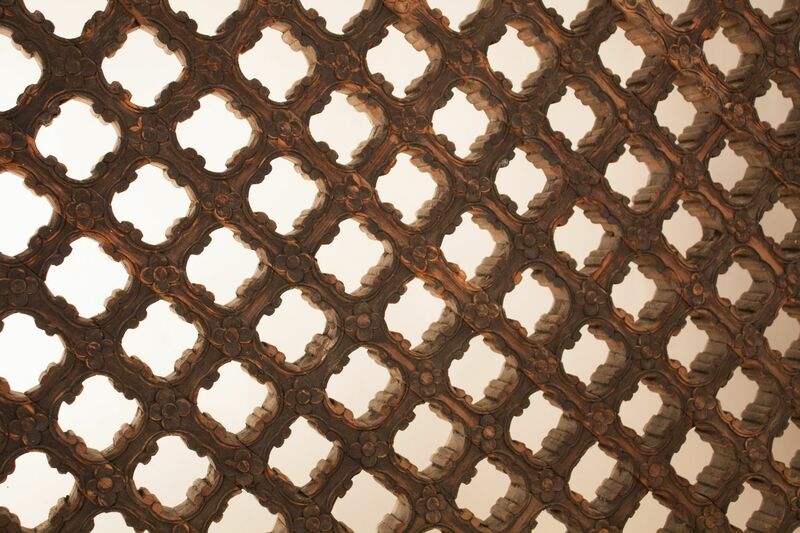 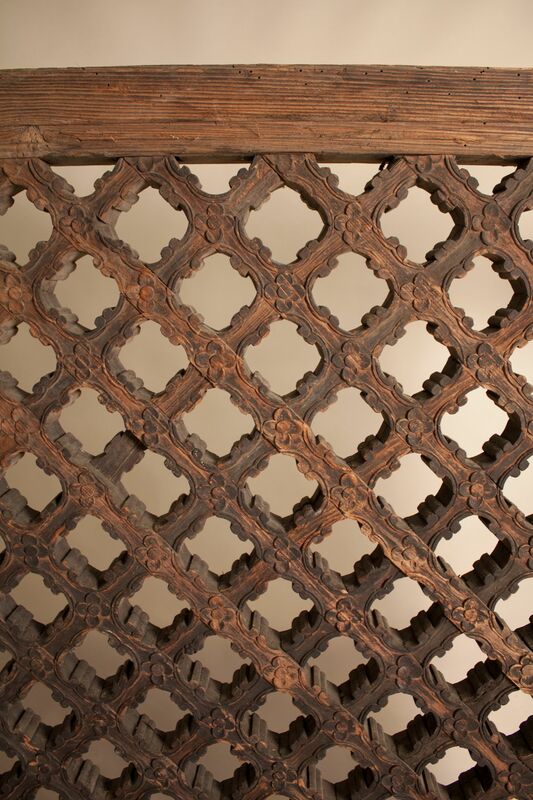 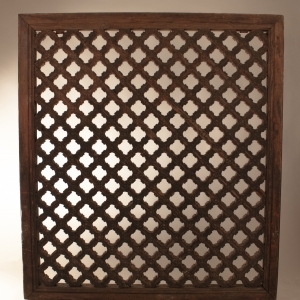 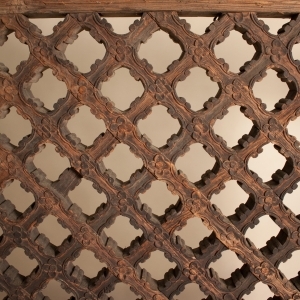 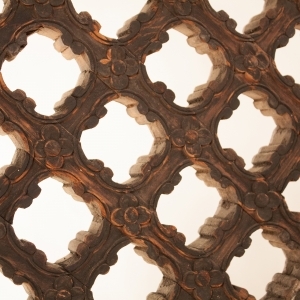 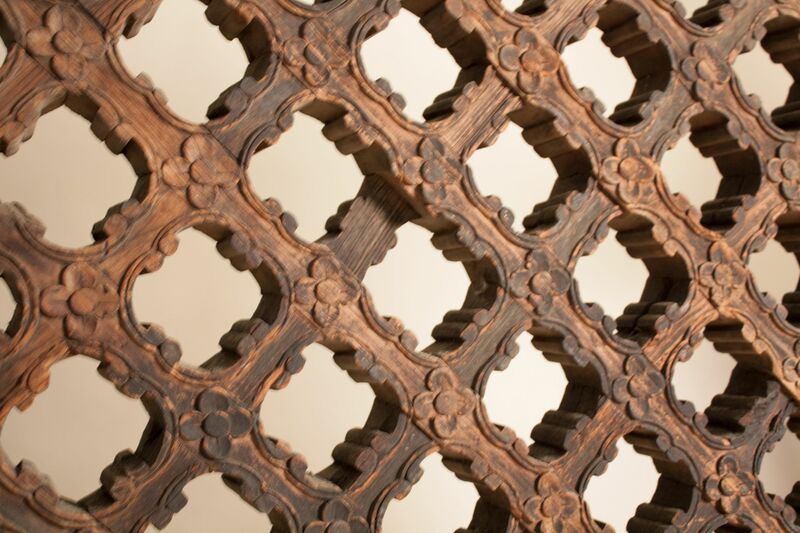 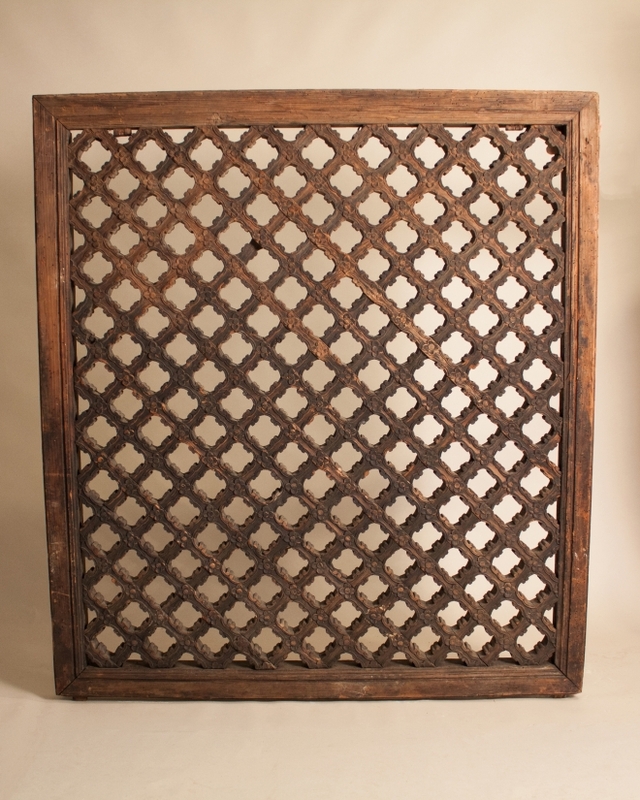 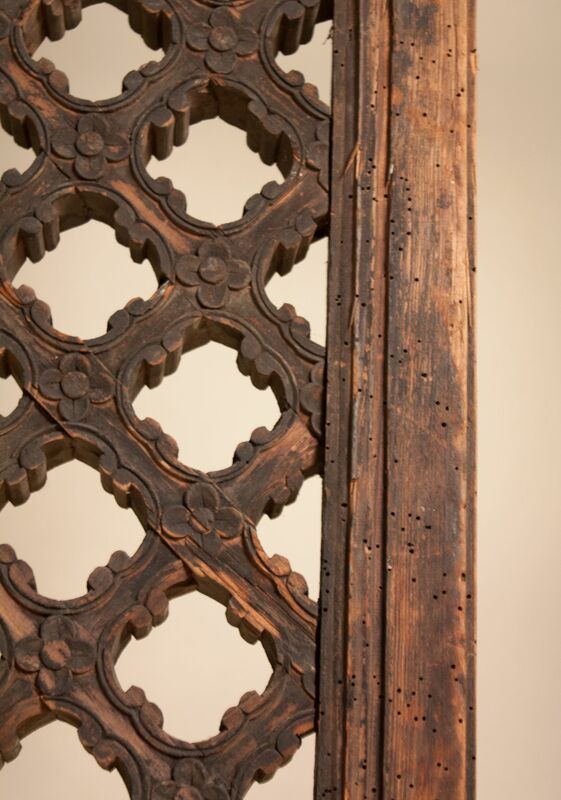 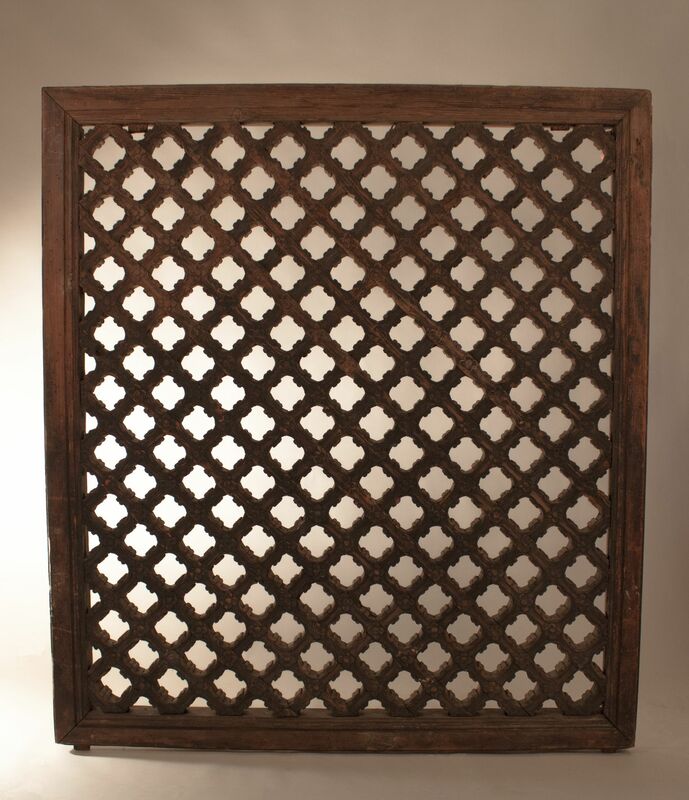 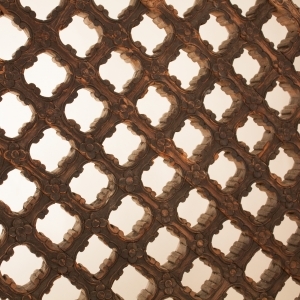 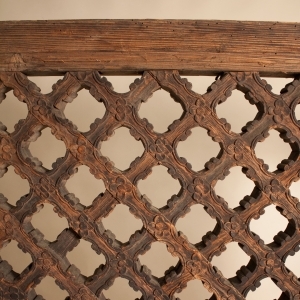 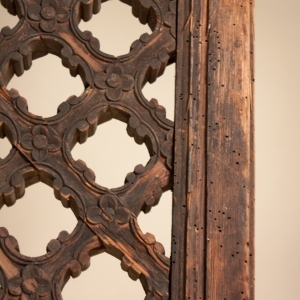 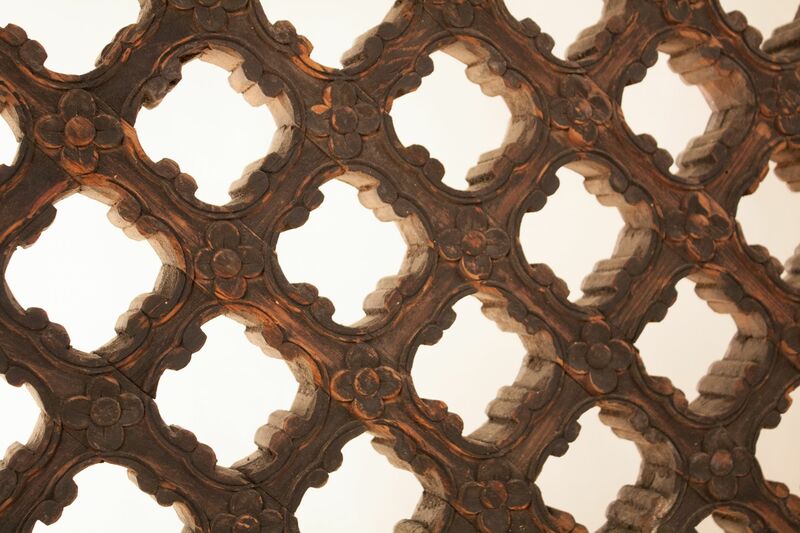 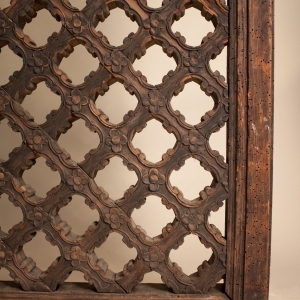 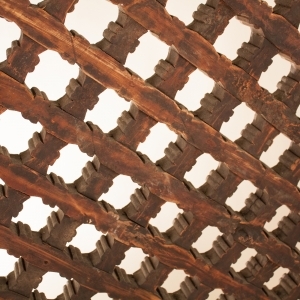 Late 19th century large ceiling or wall panel from China carved from elm wood in an intricate geometric pattern with flower relief. 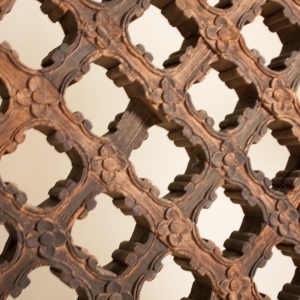 The panel offers a wealth of uses/design possibilities. 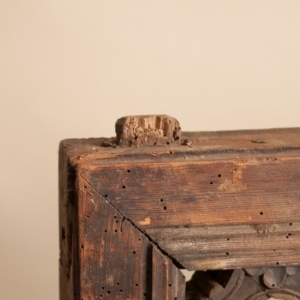 Note that there is a small piece of wood missing (see image #6), which is barely visible. 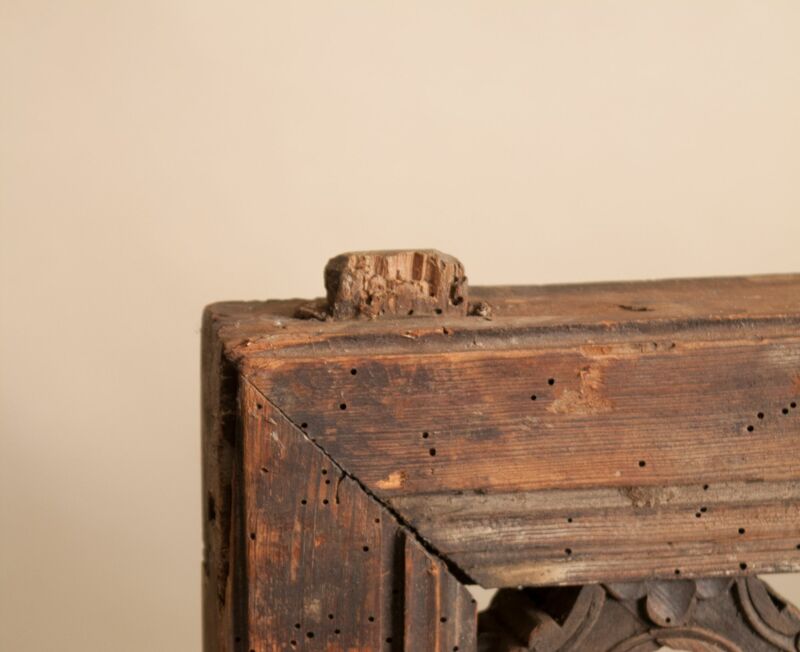 Also, some long-uninhabited insect holes are visible around the perimeter of the piece (see images #5 and #10).